I WILL GRADUATE DAY - is declared via OFFICIAL Proclamation from both Mayor Bill de Blasio and Governor Andrew Cuomo, for the city and state of New York. I WILL GRADUATE DAY-WEEK, consist of five days of special events. “Reading is Awesome Day“, a “Rally at City Hall”, “Social Media Day”, “I WILL GRADUATE Student Pep Rally” and“I WILL GRADUATE Parent Comedy. With these five days of special events and their varying themes, and the involvement and support from elected officials, celebrities, high profile individuals, an unprecedented social media outreach campaign, and with the coverage of a multitude of local and national media outlets, I WILL GRADUATE Week 2015 is slated to be the most comprehensive, attention-grabbing, and far-reaching call to action our city, state and the world has ever seen! In The Classroom is an original program hosted by Tonya Lewis Taylor founder of Entertainers 4 Education Alliance / I WILL GRADUATE Program. Taylor sits down with high profile guest to discuss their road map to success, struggles and triumphs. The show is taped with a student audience. This series was first developed as an after-school program to encourage and inspire students in to stay in school. 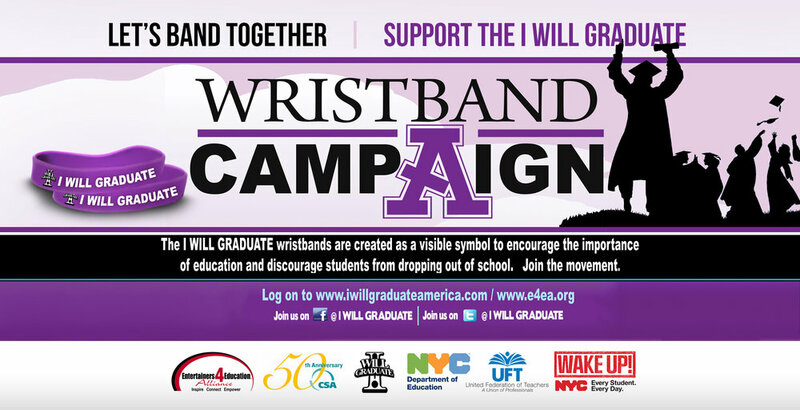 The I WILL GRADUATE dropout prevention wristband awareness campaign is here! The wristbands were created as a visible symbol to discourage students from dropping out of school and encourage the importance of education amongst the youth. The color purple was chosen to represent the campaign because purple stands for good judgment. We want our youth to use good judgment skills in order to graduate. The I WILL GRADUATE bracelet will sell individually for $2 US as well as in packs of 10, 100, and 1,000 as part of an effort to raise money for the I WILL GRADUATE CAMPAIGN initiatives to keep our youth in school. 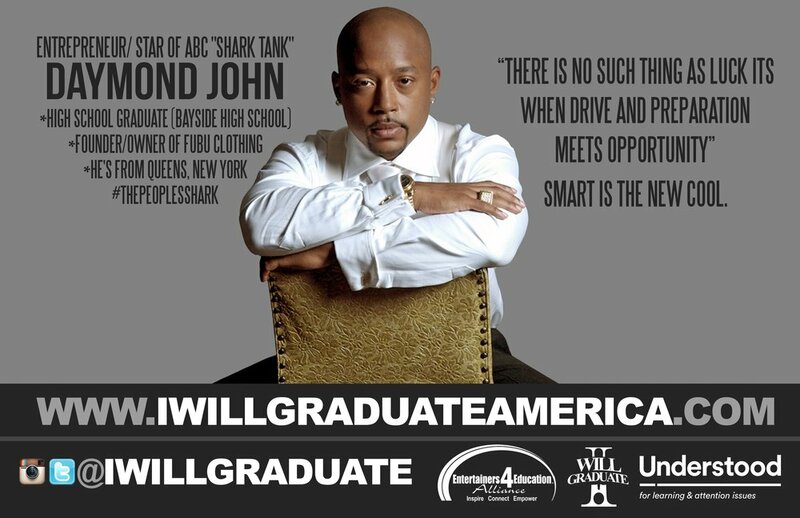 The goal of the I WILL GRADUATE CAMPAIGN is to communicate the importance of education, to the youth, raise awareness about dropout prevention, connect people to actions they can take to make a difference while supporting students in their communities.